Finding clothes that fit can be a headache, especially when you’re taller than average. That’s why Alloy Apparel makes tall women’s clothing and plus size women’s clothing with every kind of gorgeous in mind. Alloy babes should feel empowered when it comes to buying clothes, not scrunched into a one-size-fits-all box. That’s why we’re breaking down how to use our size guide to find that perfect fit. The basic elements of the size chart are pretty simple: Across the top, you’ll see Alloy’s sizes. In the rows below, you’ll see how those sizes convert to sizes in other countries, as well as body measurements such as hip and inseam. If you use international size standards, you’ll be able to use your size in that system (located in the gray rows) to find your Alloy Tall or Alloy Curvy equivalent along the black band at the top. For example, if you live in the UK and tend to wear a size 10, you’ll probably fit best in the Alloy Tall size 4 to 5 range. Sizing can be tricky. That’s why we’ve also included some handy info about what measurements go with which sizes. Let’s say you fluctuate between pants sizes across different brands, but you know you have a 28-inch waist. Find “28 inches” on the Waist row of the size chart. You’ll see that this corresponds to Alloy Tall size 6 or 7. These measurements can be particularly helpful in understanding how size corresponds to your body’s particular proportions. Alloy Tall is designed for women 5’9” and over. This line of tall women’s clothing offers longer inseams on pants, and shirts and blouses designed to fit longer torsos. With Alloy Curvy, we serve both tall & curvy as well as 5’8”-and-under curvy ladies with inseams and proportions designed with your body in mind. Check out the Alloy Curvy chart to find your plus size women’s clothing size. Your bust measure is basically the measure of your chest. Don’t worry – this isn’t Victoria’s Secret. You really only need one number: the number of inches around your body roughly where you wear your bra. Wrap the tape measure around the fullest part of your chest, then take down the number you see. This is your natural waist – or where your torso is most narrow – as opposed to your hips, which are lower. For most people, this is about an inch above your belly button. However, especially if you’re tall, it can vary. Just wrap the tape measure around the smallest part of your torso. You’ll want to use this measurement when shopping for tall high waisted pants. To measure your hips, wrap the tape measure around the fullest part of your hips. Don’t wrap too tight! Your torso measure basically goes from where your neck hits your shoulder, to the top of your thigh. Keeping the tape measure as straight as possible, hold one end at the highest point of your shoulder (this can also be the center of your neck), and the other to your crotch. 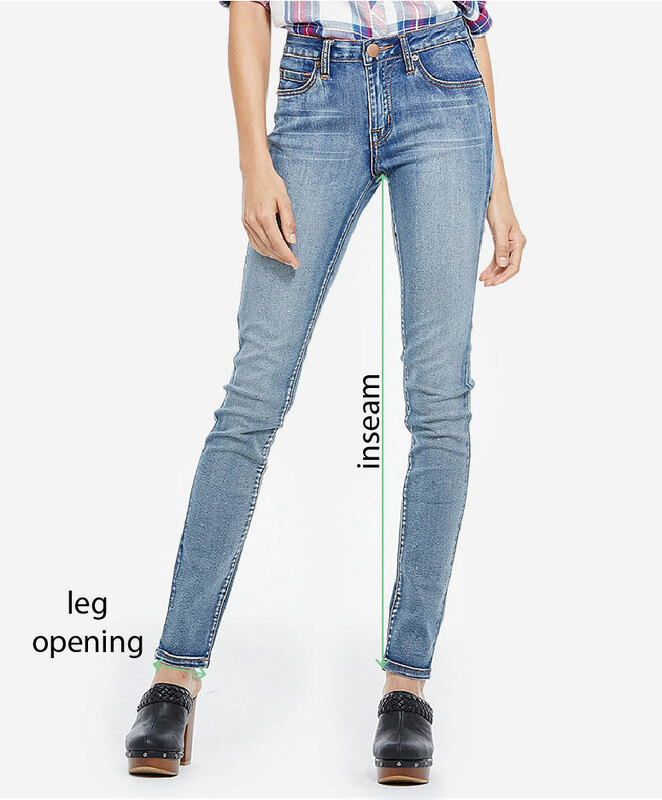 The inseam is the length of the inner seam of your pant leg – hence, “inseam”. You can have someone else measure this on your body, but the easiest thing to do is to grab a pair of pants that fits you well and measure along the inner seam from the crotch to the bottom of the leg. Keep in mind that your inseam should be shorter for cropped styles. At Alloy Apparel, our sizes definitely measure up – because we’ve got tall and gorgeous covered. Now that you know our perfect size, check out what’s new in Alloy’s tall women’s clothing and plus size women’s clothing today.